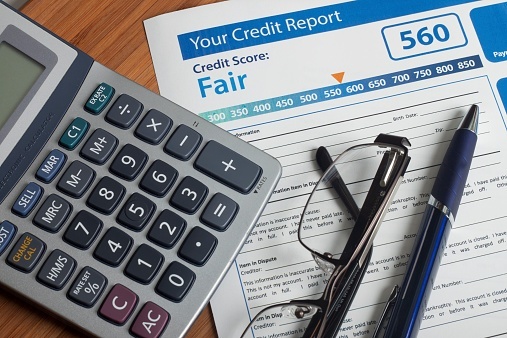 Credit reports inform you about your credit health, including your past and current credit card accounts, installment accounts such as automobile loans, outstanding loan balances, mortgages, payment history (late payments and defaults), and the identify of those who have requested your credit report. You should review your credit reports often to be sure that they are accurate, that negative information more than 7 years old is deleted (except for Chapter 7 bankruptcy), and that you are not a victim of identity theft. There are three credit reporting agencies: Equifax (www.equifax.com), Experian (www.experian.com) and TransUnion (www.transunion.com). You may request a free annual for each credit reporting agency from www.annualcreditreport.com or 1-877-322-8228. If you request a free credit report from one credit reporting agency every four months, you will obtain all three credit reports free in a year's time. Continue to do this each year to keep track of your credit report. Check your credit reports to be sure the information is accurate. If you see an error, request that the reporting agency correct your report by mail or email. Do you recognize every credit account in the report? If not, you may be a victim of identity theft. The Federal Trade Commission recommends (1) put a fraud alert on all three credit reports , (2) close that account, (3) file a complaint with the Federal Trade Commission, and (4) file a report with your local police. In addition, (5) call the fraud department of all of your creditors, and (6) freeze any new application for credit or loans. Credit reports are increasingly being used for non-credit reasons. It is reported that credit reports are being used in hiring decisions, rentals of apartments, student loans for post-graduate degrees, Insurance, and investigations of future business partners, current boyfriends and girlfriends, and potential husbands and wives. Reviewing your credit reports regularly will advise you of who is requesting credit reports. If you need help from a consumer debt lawyer, contact the offices of Scura, Wigfield, Heyer & Stevens, LLP today for a free consultation.